At the heart of Buddhism is a simple claim: The reason we suffer—and the reason we make other people suffer—is that we don’t see the world clearly. At the heart of Buddhist meditative practice is a radical promise: We can learn to see the world, including ourselves, more clearly and so gain a deep and morally valid happiness. In thispathbreaking book, Robert Wright shows how taking this promise seriously can change your life—how it can loosen the grip of anxiety, regret, and hatred, and how it can deepen your appreciation of beauty and of other people. 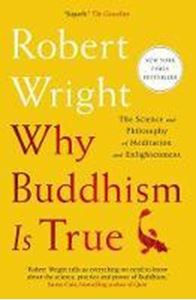 He also shows why this transformation works, drawing on the latest in neuroscience and psychology, and armed with an acute understanding of human evolution, Wright explains why the path toward truth and the path toward happiness are one and the same.